A disparate coalition of Tunisian unionists, employers, lawyers and human rights activists has won the 2015 Nobel peace prize for helping to prevent the Jasmine revolution from descending into chaos like the uprisings in other Arab spring countries. 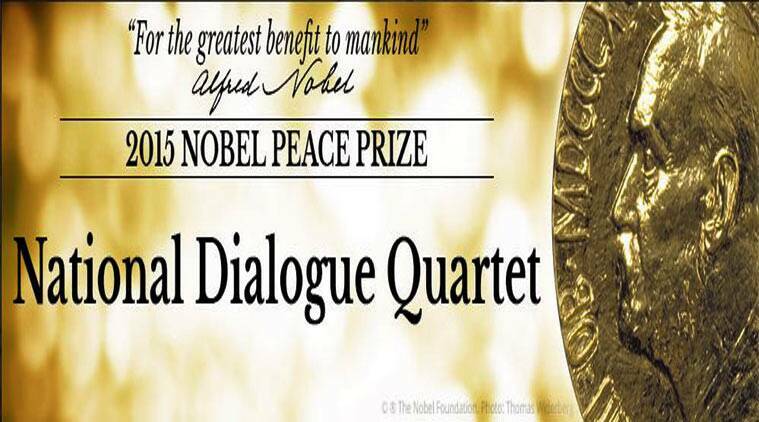 The Tunisian national dialogue quartet was given the award by the Norwegian Nobel committee, beating an array of high-powered nominees including Angela Merkel, the pope, the US secretary of state, John Kerry, and his Iranian counterpart, Mohammad Javad Zarif. These four organisations represents the working life,welfare,principle of the rule of law of human rights in the Tunisian Society.Based on this ,the quarter performed its role as a mediator and main factor to advance peaceful democratic development in Tunisia.This helps the Quartet to win the award.